It was a crisp and chilly day in Neopia. The sounds of crackling leaves, hissing Meowclops, and the smell of hot Borovan was around every corner. It was the morning of Halloween. How to throw the BEST Halloween Party! It that time of year again! When October 31st rolls around on the calendar, it’s time to break out the spooky costumes, the gory decorations, and bowls of tasty treats! I’ve compiled a list of the best items around Neopia to throw the spookiest Halloween party ever! The trick to creating the best party is setting the atmosphere. What is it you’re trying to accomplish? Do you want to be known as the family friendly atmosphere for all ages? Or how about the most stylish Neohome that the Neopian Times raves about the next day? Or be known as THE scariest Neohome on the block where little ones cry about having to walk past? Whichever you decide, be sure to start off your planning by selecting a theme, and from there you can plan the rest of your ideas and decorations around it. Send out your invitations ASAP because Halloween is just around the corner! Of the three themes I suggested above, I’ve compiled a list of the items from the ‘Spooky Furniture’ store located in the Haunted Woods that could be used for each one. 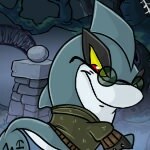 Since I don’t know what your Neohome looks like, I leave the setting and placement up to you! Who Rules the Haunted Woods? The Haunted Woods encompass an absolutely massive swath of land in southern Neopia. From the Werelupe Woods to the halls of Castle Nox, most of the Haunted Woods is ruled by local Lords, Ladies, and other kinds of nobility who govern their own patches of land. While the Haunted Woods has no formally declared ruler, is there someone who stands out above the rest as a de facto leader? I’ll be evaluating the arguments for and against the leadership of a number of powerful Neopians who call the Haunted Woods their home. Perhaps it would be prudent to introduce the main fiefdoms of the Haunted Woods. There is the Haunted Woods proper, where characters like Edna the Witch, Eliv Thade, the Esophager, and the Brain Tree live. Then there’s the Deserted Fairground, where one can find all sorts of shopkeepers and carnival booth operators. Most notably, the castle and property of Hubrid Nox sits on the outskirts of the fairgrounds, just beyond where normal Neopets would dare to travel. Then there’s the Gypsy Camp, which showed up a few years ago and guards the entryway to Neovia. A Guide to the Neopian Halloween! Aw yes, October 31st. Halloween is here again. The season everyone loves to love! Is it because of the spookiness? Is it because of all the candy related activities? Is it the possibility of dressing up as one of your favorite characters? Or, perhaps, is it all of it together? Well, either way, year by year, we all want to take the most out of this special and unique day, since it comes and goes by so fast. 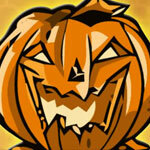 Halloween is so special that here, on Neopets, we have plenty of stuff to do that are exclusive to this specific day. I’m talking about events, prizes, awards, games and many more. Are you feeling overwhelmed yet? Or Something Like It: Concert Time! Rusty slowly snuck out of the store, being careful to not been seen by the terrible ghouls. If they saw him, they'd capture him as well. ... But what if I picked Bites?